In the luxury brand–driven world of designer wristwatches, many have attached their names to Formula One teams, logo-happy European road rallies, and other high-stakes events. But to racing purists, there’s only ever been one name that matters when every second counts: Heuer, inventors of the dashboard chronograph (1911) and its timepiece de résistance, the Heuer chronograph wristwatch (1914). Complicated devices with the seemingly simple function of measuring and displaying split-second increments of time, the very first chronographs, originally introduced in 1816, were made for astrono-mers, scientists, architects, and mariners — then, vis-à-vis Heuer, record breakers and risk takers. Racing became Heuer’s thing. Founded in Switzerland in 1860 by Eduoard Heuer and overseen today by his great-grandson Jack Heuer, Heuer not only perfected how drivers monitored their own pace with a chronograph, but also how professional racing itself was scored. The Heuer chronograph, patented as an “oscillating pinion,” was as pure a watch as they come, the undisputed king of the track. Herewith, a crash course in Heuer’s history and how the company changed the face, if you will, of all racing watches to come. Like most other watch manufacturers of the mid-twentieth century, very little of Heuer’s initial output was focused on consumer usage. These high-precision wristwatches with stopwatch functionality were true mechanical instruments, more about function than form (though they looked mighty good too). In the late 1950s, when wristwatch buyers were less interested in hi-tech precision than simply having a bauble on their wrist with three rotating hands, a readable face, and a handsome band, Heuer designed chronographs for aeronautical engineers, pilots, and race-car drivers. And Heuer would keep to that order for generations. While prototypes were known simply by their reference numbers, the first Heuer chronograph to be given a name was the Autavia, which debuted in the marketplace in 1962. Inspired by a circa-1933 dashboard timekeeper, the Autavia was promoted as an instrument to be used by automotive and aviation specialists. Years later, it would become the choice of professional race-car drivers the world over. Austrian Formula One world champion Jochen Rindt surveys the track at Zandvoort, Holland, 1966. British two-time Formula One world champion Graham Hill raises a fist after winning the 50th International 500-Mile Sweepstakes, Indianapolis, 1966. After years of thinking about analog dials and their legibility, Jack Heuer cracked the code in 1963 while studying design in Switzerland. The Carerra was the result. He named it after the world-famous endurance race in Mexico, and considered it the cleanest, most legible, and most robust racer’s watch in the world. The Carrera featured a stark, two-toned dial and — in a watch-making first — an outer tension ring set against a plastic crystal. The configuration allowed the Carrera’s wearer to track up to one-fifth of a second at a moment’s glance. It became available on the retail market, in limited quantities, in 1963, debuting alongside that other iconic product of the same name, Porsche's zippy two-door sports car. Both precision machines are among the most enduring designs of the twentieth century. During 2013’s celebration of the first half century of Carreras, Jack Heuer, then eighty-one, called the watch his greatest achievement. Who could argue? The early 1960s Carreras have a degree of balance and harmony found in very few watches manufactured today. Following the Carrera, in 1969 Heuer introduced, in a team partnership with other brands, the Caliber 11 series of watches, the first self-winding chronographs. But Heuer remained a niche player drawing modest sales. In addition to the rarefied crew of professional racers singing its praises, Heuer needed real people to buy its watches. So the company signed Jo Siffert, a Swiss-born Formula One driver on the rise, to be its ambassador, the first endorsement deal of its kind. Siffert had already beaten reigning champ Jackie Stewart, capturing the pro circuit’s attention. The Heuer name entered the mainstream when Siffert began wearing its logo on his jumpsuit coveralls and plastering it on the hoods of his cars. As Siffert’s star rose, so did Heuer’s. The brand received an additional boost when Siffert was hired as a driving instructor and stunt driver on Le Mans, the 1970 action picture set on the fabled twenty-four-hour course, starring Steve McQueen. Brazilian three-time Formula One world champion Ayrton Senna suits up for Silverstone, Northamptonshire, 1989. Belgian Formula One driver Jacky Ickx pilots his Ferrari 312B2 around the Nürburgring, Nürburg, Germany, 1972. Siffert and the King of Cool became fast friends. 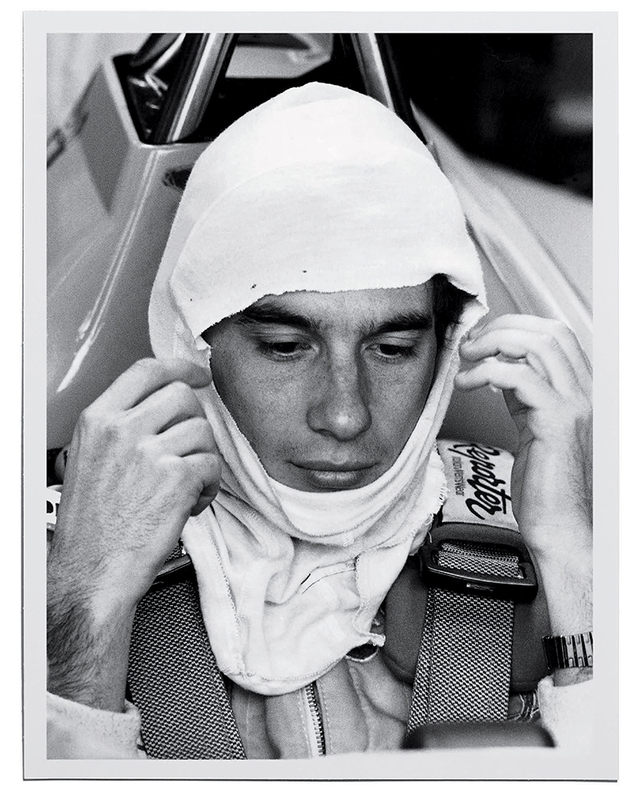 “I want to look like that,” said McQueen, the first time he saw Siffert zipped up in his white Heuer jumpsuit. Though McQueen favored an Omega watch for the film, the prop master shot him down, offering up a Heuer Monaco instead. McQueen loved it, despite the fact that the Monaco wasn’t a bona fide racing watch, and had actually been designed with architects in mind. Siffert himself wore a white-dial Heuer Autavia. Though the film fell short at the box office, the McQueen-Heuer tie-in put the watchmaker on the pop-culture map. An official McQueen endorsement followed. With its name attached to both professional racing and a Hollywood icon, Heuer was ready to shift into high gear. 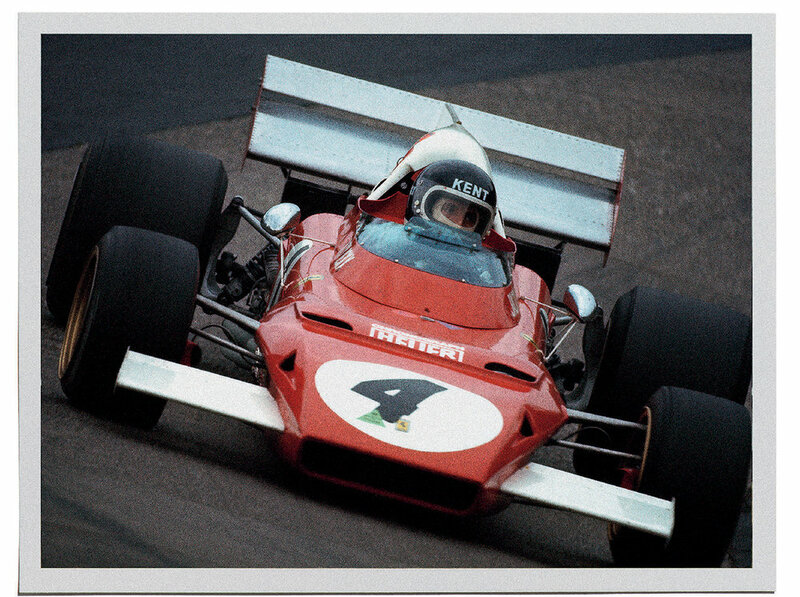 In 1971, it set its sights on Ferrari, the king of racing. In early meetings, Enzo Ferrari, popularly known as Il Commendatore, mentioned that his racing team needed to upgrade its independent timing system. Heuer had been working on the Le Mans Centigraph, a prototype for a super-precise timing system, and offered his services. Ferrari agreed to give it a whirl, with Heuer receiving top billing on the famous team’s cars. Soon, the Le Mans Centigraph would be coveted by the entirety of Formula One. Despite its growing global reputation, Heuer faced a dilemma at home: a quartz shortage was making life difficult in Switzerland, inflating the cost of the one mineral essential to making chronographs. Despite all its conquests, by the late seventies Heuer was headed toward bankruptcy. Enter holding company Techniques d’Avant Garde, otherwise known as TAG. After a quickie marriage, Heuer was absorbed into the now ubiquitous watch and accessory brand TAG Heuer. From that moment on, the iconic Heuer chronograph series has stood frozen in time, marking a precise moment in both motorsport and horological history. Steve McQueen suits up in a still from Lee H. Katzin's racing epic, Le Mans, 1971.